The purpose of offering jail visitation privileges is to maintain and strengthen family ties during obvious periods of stress, and to assist in maintaining appropriate ties to the community. 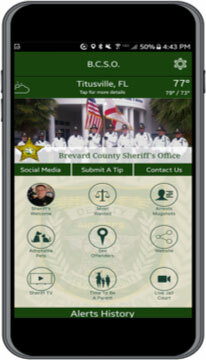 The Brevard County Sheriff’s Office utilizes Global Tel*Link for inmate visitations. Visiting Hours are daily 8:00 AM – 7:30 PM with the exception of Saturday, visiting hours are from 8:00am – 6:45pm – by appointment only. Professional Remote Video Visits: If you are a Professional visitor such as a lawyer, please create a PERSONAL Remote Video Visit account with Global Tel*Link (GTL) at https://brevardfl.gtlvisitme.com/, as outlined above, and submit your completed “Professional Status Application for Remote Video Visitation” to the BCSO Jail Complex Inspectional Services Unit at jailisp@bcso.us. The “Professional Status Application for Remote Video Visitation” form is provided below and requires the accompaniment of proof of identification, details provided on the form. Upon successful verification of a completed application and its supporting documents, the GTL account will update to “Professional Visitor” Status; this process may take up to 72 hours. Professional Visitor status will allow privileged remote video visitation with a client of record, which will be verified through court documentation prior to scheduling each professional visit. 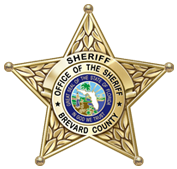 Professional Visitors must adhere to the Brevard County Sheriff’s Office Jail Complex Visitation Rules; violation of the rules may result in temporary or permanent suspension of Professional Status for Remote Video Visitation. BCSO Jail Complex Command Staff or designee reserves the right to approve or deny any Professional Status Application for Remote Video Visitation. Visiting from home allows you to visit every day, as often as you like, during the hours of 8:00 AM – 7:30 PM with the exception of Saturday, visiting hours are from 8:00am – 6:45pm based upon time-slots availability. Onsite visits are only allowed during the hours of 8:00 AM – 7:30 PM with the exception of Saturday, visiting hours are from 8:00am – 6:45pm and inmates may receive a maximum of 3 visits per week.